The Travel Guide is filled with information about ferry schedules, maps, information to bicycle tourists, places to stay and attractions. The coastal road “Kystriksveien” starts just north of Trondheim, and runs 650 km up along the Northern coast and ends up in Bodø just south of Lofoten. 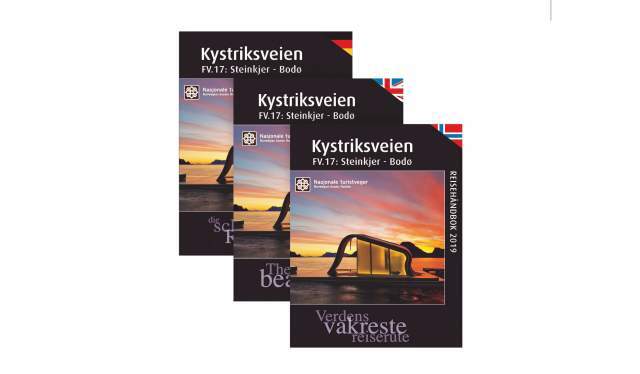 Order the guide from Kystriksveien webshop. We have made a digital version of the handbook. Need the entire PDF ? You may download the guidebook to your PC through dropbox with this link.